In order to live happy and healthy lives, cats basically need three things: the warmest and most comfortable bed in the house, love and affection (on their terms of course) and a healthy, balanced diet. First of all, it’s important to acknowledge that cats are carnivores so their diet should always be meat-based with little or no cereals or grains and never vegetarian or vegan, whether your cat is an indoor or outdoor cat. They should always have access to clean drinking water; it is a myth that cats need milk. Cow’s milk contains lactose and casein which most cats cannot easily digest and they may even get an upset stomach if given this all the time. Protein is a cat’s main source of energy and for this reason, they need a much higher level of protein in their diet than for example dogs. Meat therefore is the best source of protein for cats and it also provides other essential nutrients like amino acids which are the building blocks of healthy muscle growth. 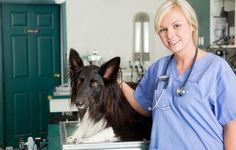 These are taurine, essential for vision and for the heart, arachidonic acid for skin and coat, plus vitamin A also for healthy vision and a healthy coat. What Else Do They Need in Their Diet? Essential fatty acids including omega 3 and omega 6 are vital for a healthy skin and coat. A certain amount of fat in the diet is good for the protection and insulation of internal organs as well as providing fuel and energy to keep your cat fit and active. Minerals like calcium and phosphorous help to make strong teeth and bones so having the right quantities of these in the diet is especially important in pregnant cats and kittens. Other minerals which play a part in good health include zinc, magnesium, potassium, iron and sodium chloride. 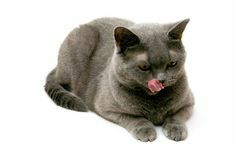 Carbohydrates are not necessary for a cat however a small amount provides another source of energy. A certain amount of fibre is also good for normal digestion and healthy stools. Without all these essential nutrients a cat runs the risk of all kinds of illnesses and diseases as well as stunted growth, poor condition and loss of muscle. The immune system can be affected making a cat prone to infection which it may find difficult to fight off. Your cat is a loved part of the family and as such you obviously care about their nutrition and about the sustainability and quality of the ingredients in their food. The answer is to feed your cat a good quality, 100% complete and balanced food. There are a number of branded cat foods on the market which provide all the nutrients a cat needs for its different life stages so that you don’t have to worry about whether you are getting it right. 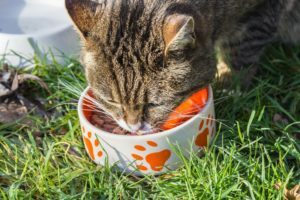 What Should You Feed Your Cat? There are a large number of cat food manufacturers and the products you see on supermarket shelves can be of varying quality and price. The more well known brands such as Felix and Iams offer cat food in a number of forms either tinned or pouches (wet) or dry kibble. These are made with high quality ingredients and are especially made with the cat’s high protein and balanced nutrient dietary requirements in mind. Felix pouches for example are 100% complete and nutritionally balanced which means that these can be given on their own with no need for extra accompaniments. The recipes for this brand, as with other top brands, are formulated with the help of veterinary experts to include the appropriate amount of vitamins, minerals and omega 6 fatty acids that a cat needs to stay healthy and active. In a recent survey six of the top ten best selling brands of cat food were Felix pouches with three from this company in the top four; As Good As It Looks Ocean Feasts, Adult Fish Selection and Adult Mixed Selection. This surely bestows the mark of quality so cat owners can be sure they are feeding their beloved pets the best food. Iams are the other big player in the cat food market with more than 70 years experience of developing nutritionally balanced cat food. Iams Proactive Health cat is a good choice as the different varieties contain a high meat content with, according to Iams, 47% more animal protein than other brands. This manufacturer tailors their products to the cat’s different life stages from kitten through to senior. Once again these products contain essential omega 6 and omega 3 fatty acids plus the correct balance of vitamins, minerals and protein to ensure good health at every stage. And because cats are notoriously picky about their food Iams cat food includes animal fats for a more authentic and natural taste. 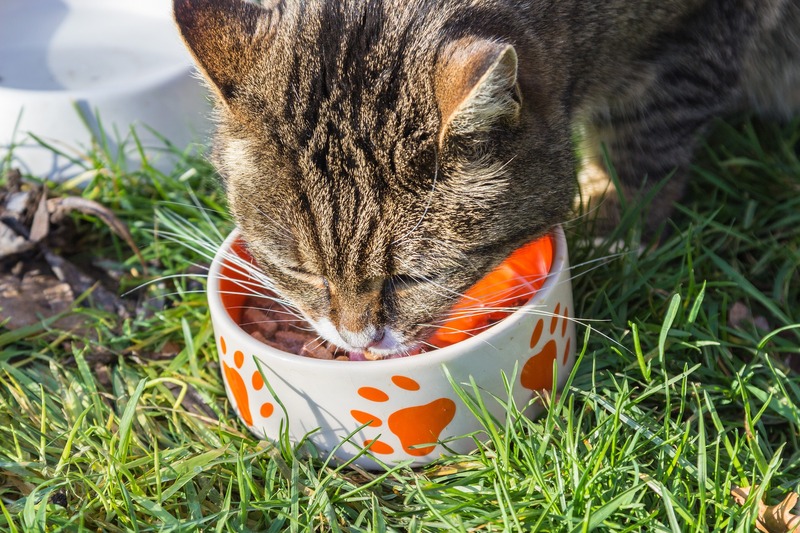 Iams UK Senior Marketing Manager Ashleigh Foster has said that the company mission is to help cat owners and retailers understand the importance of balanced nutrition and that this can be easily achieved by feeding a high protein, complete diet and one that is attractive to the pickiest of cats. This is why when retailers offer varieties such as Norwegian Salmon, Succulent Roast Chicken, New Zealand Lamb to name but three tasty varieties, discerning cat owners will no doubt head straight for them. The cat food market is awash with tasty treat products said to be worth around £395 million and there are lots of varieties to choose from. As the most popular brands are manufactured to a high standard with the health of the cat’s digestion and dental health specifically targeted these can be safely given to cats. It’s important to remember though that treats should be given as part of the daily food ration and not as well as. If cats are fed extra treats their main meal portions should be reduced accordingly to avoid the cat becoming overweight or even obese. It is recommended that treats should form no more than 10% of their daily intake. Most cats are naturally active right up to their most senior years however owners should be reminded of the need to make sure their cat gets the right amount of mental and physical stimulation especially if they are fed a high protein diet. Cat activity centres and scratching posts are a good way to encourage and satisfy the natural curiosity that cats have by enabling them to climb, explore and play. Toys such as catnip mice or even a simple ping-pong ball allows both cat and owner to share regular daily play sessions. This is something that should be done with care and patience. A new cat or kitten may be wary and a little nervous especially if there are established pets and/or children. Children should always be taught how to pick up and handle a cat correctly to avoid hurting it. Very young children should be discouraged from tormenting the cat and, if the cat is sleeping, all children should be taught to allow the cat to sleep undisturbed. 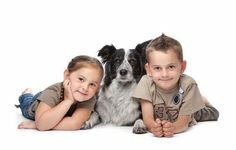 Always supervise young children around pets and teach them what is acceptable forms of play and what isn’t. It may be helpful to allow children to help with feeding time to encourage a bond. Where there are already other pets in the home these should not be given any reason to feel jealous of the new addition. Pay attention equally to all pets and keep feeding areas separate. Give a new cat somewhere it can escape if it feels threatened or overwhelmed, preferably a perch high up out of the way of marauding pets or children! By following these simple rules you can be sure of a long, safe and happy relationship between you and your cat.